Designed for general diagnostics, the 3420 features a double focus light system creating a bright 2 X magnified clear image. 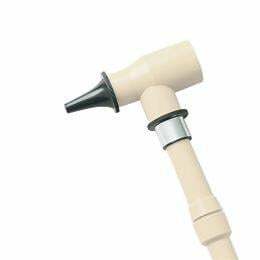 The otoscope head can be removed to convert the handle into a penlight. Includes three specula, disposable specula converter, and two AAA batteries. Made in USA.